Positioning has become an industry buzzword. But that doesn't mean it is without merit. There are thousands of agencies -- many of which offer the same services, promise similar results, and are generally positioned the same in the market. So, why would a brand choose to work with one agency over another? Why take a left, rather than the easier right-turn, if both lead you to the same type of business that sells the same thing? This list goes on for another 13 offerings, but I'll spare you the rest. Focus is the issue, and when you offer everything soup to nuts, positioning is often the way to find both focus and success. In Tim Williams' "Positioning for Professionals," he writes, "Nobody buys a product or service because it can do everything, but rather because it can do something." Market positioning describes how a business chooses to serve the industry it's in. A brand's market position considers the position of its competitors and the needs of its customers before creating its own identity. Agencies, in particular, can position themselves a variety of ways to distinguish their services from others in the same market. "Positioning is finding a space in the market for a company that is intrinsic to the way it does business," said Clayton Reid, president and CEO of MMGY Global, a travel, hospitality, and entertainment marketing communications agency. In Williams' Propulsion blog, he writes: A positioning strategy is really a business strategy, not just a communications strategy. It is an articulation of what services you offer (the answer can't be "everything") and which markets or customer segments you serve (the answer can be "everybody"). Positioning should not be confused with branding or design. "It is as much an internal rallying cry and mantra as it is an external marketing function," Reid said. And it is about more than simply adding a specialty or category page on your agency's website. With positioning comes a need to live and breathe that expertise -- from creating content, to conducting research, to branding your agency so it appeals to your defined target buyer. And positioning is as much about what you have laid claim to -- what you decide to focus on -- as it is on what you decide not to do. What services or tactics you specialize in. Your reach across your market. How you structure your pricing around your business services. How you differentiate yourself from your competition. This doesn't mean defining a position limits you. It's actually the opposite. Here's how the above positioning strategies can make you a better company, along with real agencies that embody these qualities. 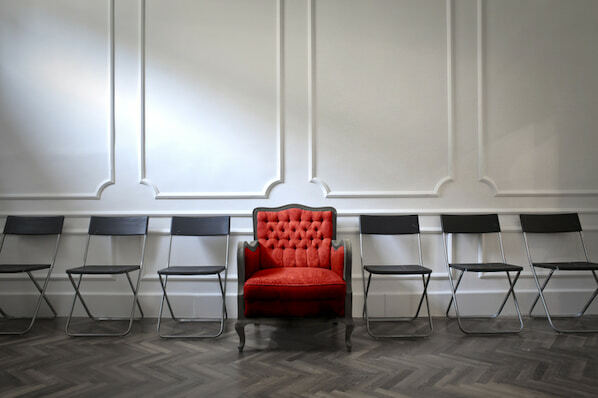 Specialization in an agency indicates that you and your staff are able to move forward boldly -- marketing your agency, deciding whom to work with, and how you will execute on strategies and tactics. There is no question about what you do, whom you do it for, and how you do it. Elite Business Systems is a small digital marketing agency and a HubSpot Partner. There are lots of digital marketing agencies out there to choose from, so what makes this one different? It specializes in senior living and healthcare marketing. And by drilling down into this niche, the company has been able to offer highly creative types of service in this one area. Regional agencies struggle to attract talent and clients outside of their area. By determining a focus and building this up as a core part of your service, clients will want to work with you, and people will want to work for you, regardless of your location or size. "Agencies think that by niching, you miss out on opportunities," said Matt Sonnhalter, president of Sonnhalter, an agency founded by his father in 1976. The reality is that "different types of opportunities appear that are more in line with the type of work you want to do." Sonnhalter focuses on marketing to professional tradesmen in the construction, industrial, and MRO (maintenance, repair, and operations) markets, aptly named Business-To-Tradesman (B2T) marketing. Around half of the agency's revenues come from work with brands located outside of Ohio. Does your agency have buyer personas? Do you currently have a list of prospects that you know would be interested in your services? Strong positioning helps you understand the unique pain points of your target audience, what they need and want, and how they buy. 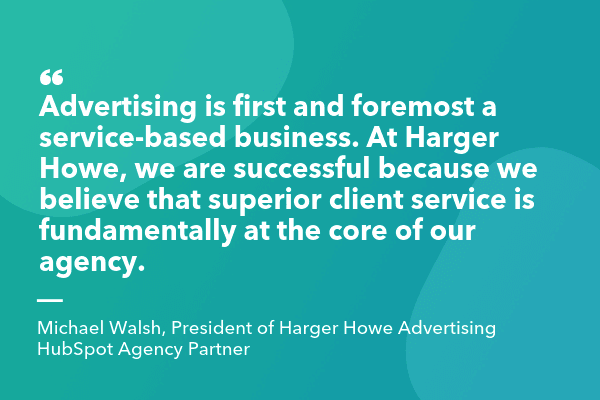 Harger Howe Advertising is an ad agency and a HubSpot Partner whose target audience is recruitment companies -- further, the agency caters to recruiters in specific industries, like healthcare. What's the benefit of focusing on this audience? The agency knows their clients so well, they can serve them exactly what they need before they even ask, or give them tools so well-designed that clients can help themselves. This is the framework for Harger Howe's flywheel, a business model that helps companies reduce "friction" across their customer experience. And this business model depends on how well you know your audience. By identifying the shared goals, challenges, and identifiers of your target audience, you can create a more efficient and targeted business -- one that uses marketing, sales, and customer service together to attract customers who never have to tell you what they want before you give it to them. Deep expertise demands premium pricing. Brands want insights, not more generic information on how to market their products or services. With specialized knowledge of an industry (such as distribution methods or trade channels), an audience (their behaviors, needs, and wants), or a service offering (mobile, social, demand generation), you can prove your agency isn't focused on learning an industry. Rather, it's consumed with developing creative ideas that work. 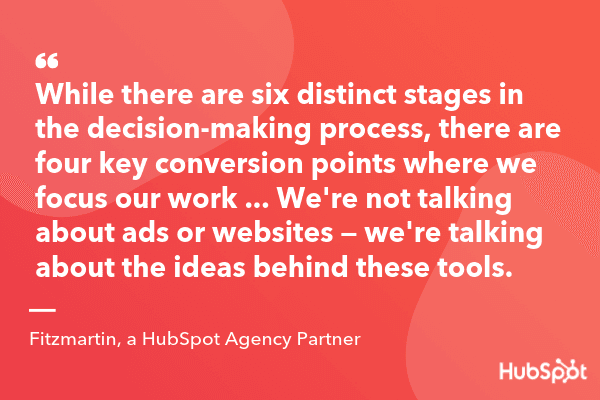 RP3, a marketing agency and customer of HubSpot, started in the aftermath of the sudden closing of a previous marketing and advertising agency, directly in the teeth of the 2008 recession. Positioning itself as an alternative to full-service marketing agencies, RP3 sought to compete with businesses whose service didn't always justify their prices. As a result, RP3 established a premium price for a level of service that its clients wouldn't get elsewhere. 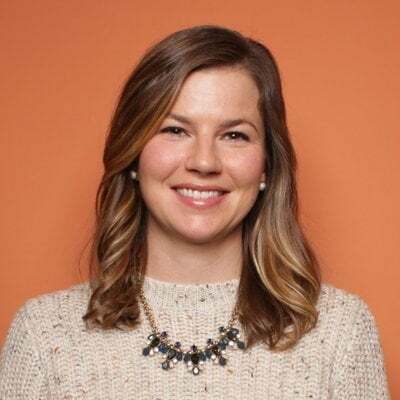 This drove more value into its product and held the business accountable for being not just a vendor, but a thought leader and guide for customers to follow as they grow. When entering a competitive pitch or even attempting to woo a client away from its current agency, how you do say "we're different" and mean it? Is it through your full service, integrated, strategic, media-agnostic capabilities? Or can you discuss how you've helped a client reach millennials and grow the brand by more than 100% in the past three years? This is where differentiation comes into play -- you might deliver the same service as your competitors, but not the same average results or method of delivery. Fitzmartin is a sales consultancy and HubSpot Agency Partner. 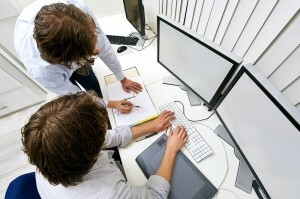 The company emphasizes marketing-sales alignment, and makes use of a unique marketing and sales methodology called Cognitive Marketing. Every salesperson wants to close more sales, and there are hundreds of agencies out there to help them do it. Fitzmartin cuts through the noise with a concept not every agency focuses on: psychology. Cognitive Marketing targets long and complex sales processes, examining human behavior and neuroscience to help salespeople understand their prospects' decision-making process and shorten their sales cycle. This is differentiation at its finest. How often is your agency quoted in The New York Times, Luxury Daily, Travel Pulse, or Franchise Magazine? Deep expertise draws people — conference organizers, reporters, and even brands. This isn't the time where having a company name that starts with the letter A will be to your advantage. People are savvy searchers who believe that those with the most credible and expansive amount of knowledge on a subject are also the most qualified. Consider Barkley's journey to becoming known as the experts on Millennial marketing. Located in Kansas City, Missouri, the agency employs around 300 people. In 2009, Jeff Fromm joined the agency as the head of sales. His point of view was that the future of marketing would be found in content excellence, meaning people would use Google to find expertise and information on a specific subject. Sounds familiar, right? He asked: What subject would be relevant and valuable for our clients and prospects? He used Google in the opposite way. He looked for the "absence" of information, trying to discover subjects where very little expertise existed. Eventually, he landed on Gen Y (also known as millennial) consumer trends and realized there was very little information for such an important topic. He partnered with The Boston Consulting Group and Service Management Group (SMG) to produce a report — American Millennials: Deciphering the Enigma Generation. He has since written a book on marketing to millennials, is in the final stages of his second book, has produced additional research reports, and has spoken at hundreds of conferences on the topic. Recently, he launched FutureCast, a millennial trends consulting company. Fromm emphasized that positioning your agency as an expert is one thing — proving that expertise is another. "You got to have a point of view," Fromm said. "You can't walk in and say you are an expert in ‘this' and have no proof." Fromm is frequently called on to comment on Millennial trends for The New York Times, The Washington Post, and NPR. "If you want to win the positioning battle for your agency, be wildly unique and wildly relevant to your intended target," Fromm said. "It's what you would do for your client." Why do we come to work each day? What drives our passion as an organization? What tactics or channels do we have the most experience with or understanding of? What types of clients do we like working with? What values do we share with these clients? What audiences, groups, or types of customers do we understand? How do we approach working with each client? What is different about our method? What are the biggest problems facing our agency? Why do we lose talent? What problems do we have in attracting talent? What type of people do we want to work for our agency? What is the story of our agency, and how can we frame this in a way that sets us apart? 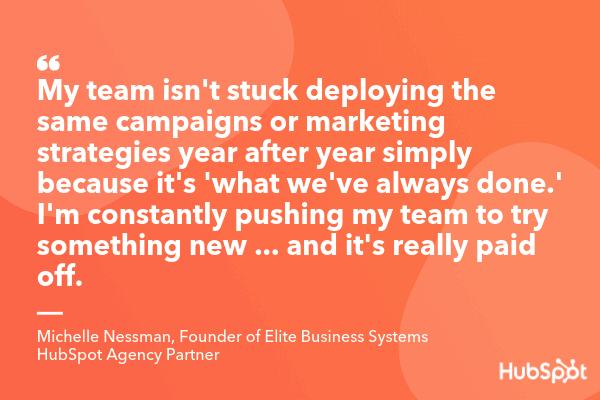 Positioning your agency is no easy feat. It takes time, dedication, and the courage to say "no" to some things. But it is necessary, especially if you are struggling to create consistent revenue streams, bring in new clients, and retain your current clients. It is a way to attract prospects, talent, and influencers to your agency, and that's something you definitely have time for.